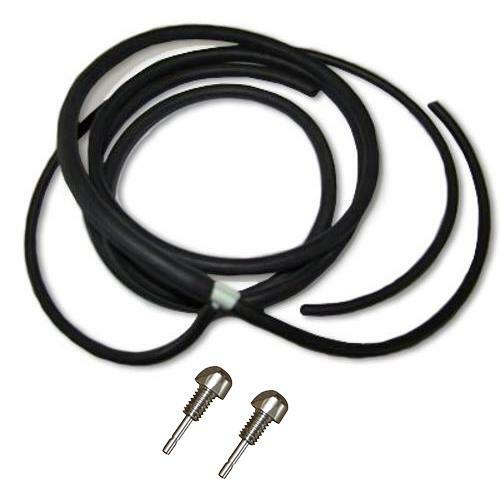 New Washer Hose Kit with Washer Nozzles for 68-77 Ford Broncos. This kit comes complete with washer hose kit and "t", along with the washer nozzles that install into the hood. Will also work with 66-67 Broncos but requires an additional piece of hose to connect the pump to the washer bag.